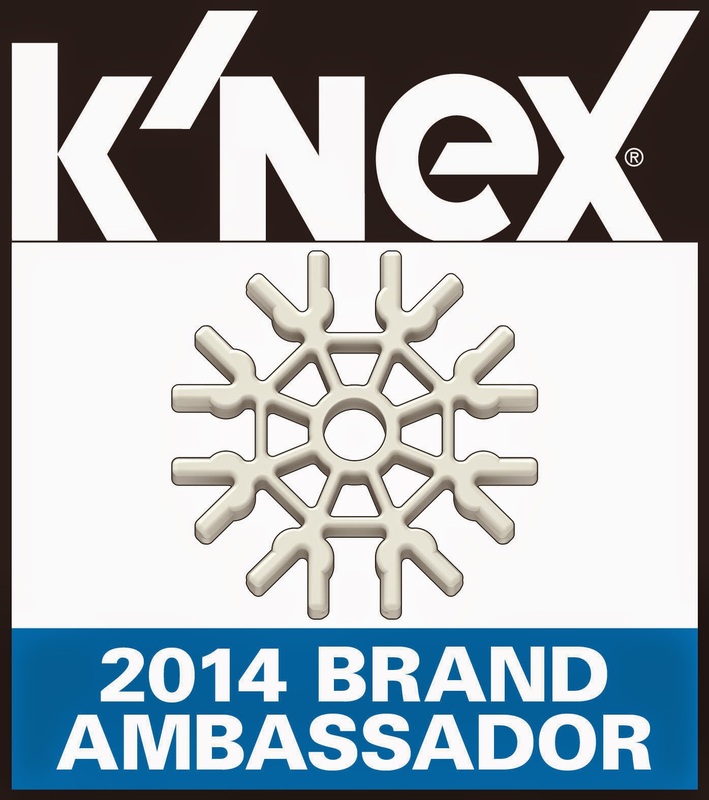 Whether you are a fan of K'NEX or the Family Guy Fan, then I have a great review to share with you. Quite honestly, we have never watched the Family Guy show. We've heard of it but never actually watched it. Needless to say when it comes to K'NEX it doesn't matter whether my children have watched the show or not. As soon as they saw the packaging they were ready to open them and start building. 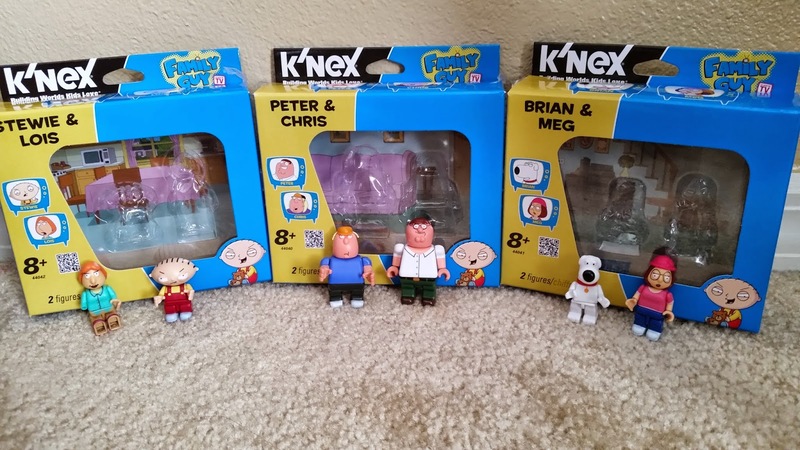 We received several sets within the Family Guy Series of K'NEX products. Pictured below is three sets of the actual characters. 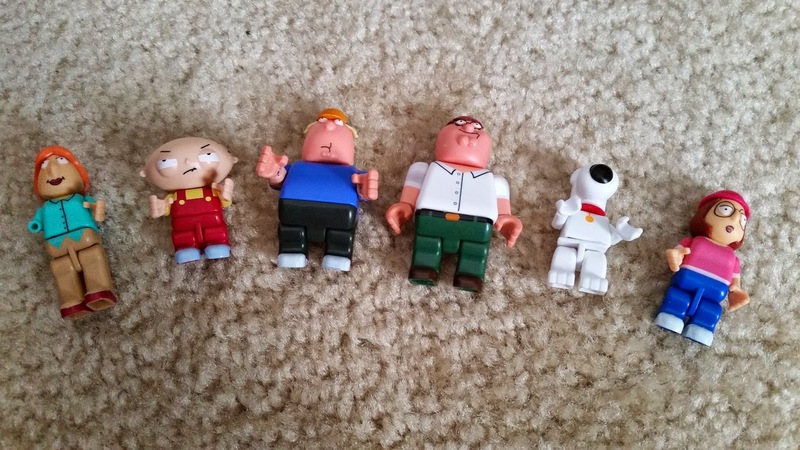 In the set to the far left is the characters Stewie and Lois, the middle set has the characters Peter and Chris, and the set to the far right has Brian and Meg. All of their legs and arms are movable, so you can position them in different ways. You can also take them apart and switch up their bodies too. At least this is what my children enjoy doing. They are recommended for ages 8 and up as there are small pieces on these figures. Just look how cute the characters are. My favorite is Stewie. Please overlook Lois right hand that is missing. All the sets we received came with all of the pieces. My son realized after I took the pictures that he forgot to put one of her hands on. Needless that supports the fact that they can be interchangeable. 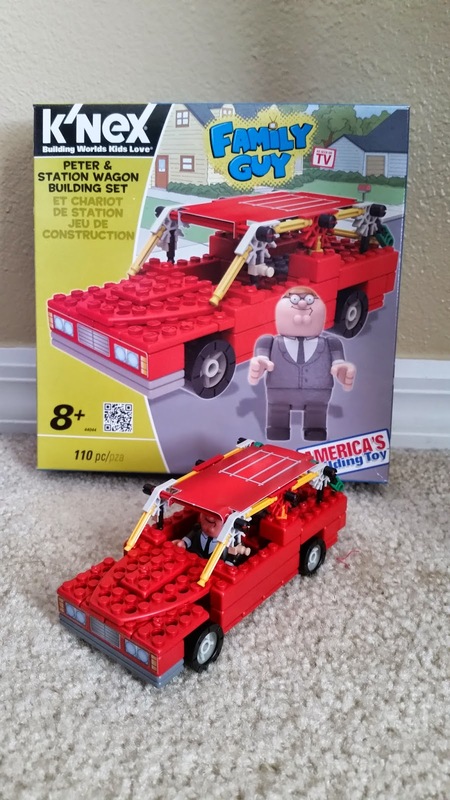 We also received the set Peter and Station Wagon building set. My children were really excited to open this and put it together. They love anything that has wheels that they can roll all over the house. This set actually comes with building blocks that are not like the actual K'NEX pieces that we are use to. 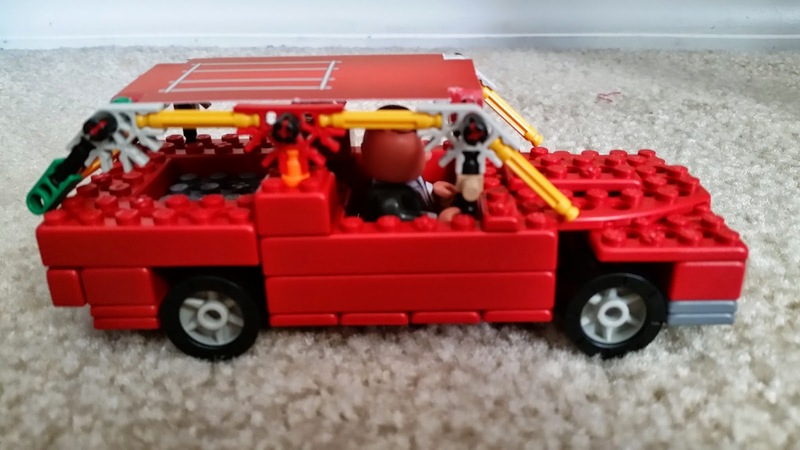 My son, who is 10, had a very easy time building the vehicle. The roof is made of a piece of heavy paper and some of the actual K'NEX pieces. Above is a detailed, side view of the vehicle. It looks just like the station wagons I remembered seeing on the roads when I was growing up. Of course my children are way to young to know anything about station wagons. They thought it looked like my vehicle, which is a larger SUV. Honestly if you look it kind of does resemble a SUV. Here is a close up of Peter cruising in his station wagon. You can also take him out and place another character in the car. I cannot tell you how many miles have been put on these wheels since we have received this set. My kids have had them cruising all over the house. 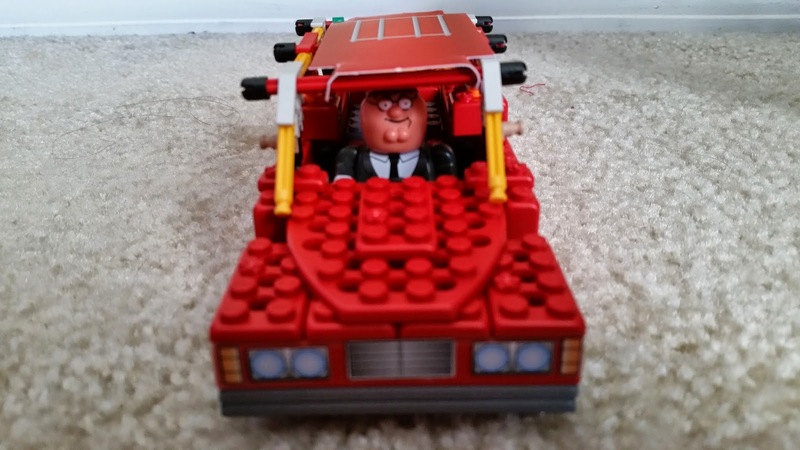 They absolutely love the entire Family Guy set and have really enjoyed playing and building with them.